Your body has its own way of dealing with anything alien in its eyes. Something touches your skin and the immune system comes into full force, sending antibodies to help fight with the allergen. 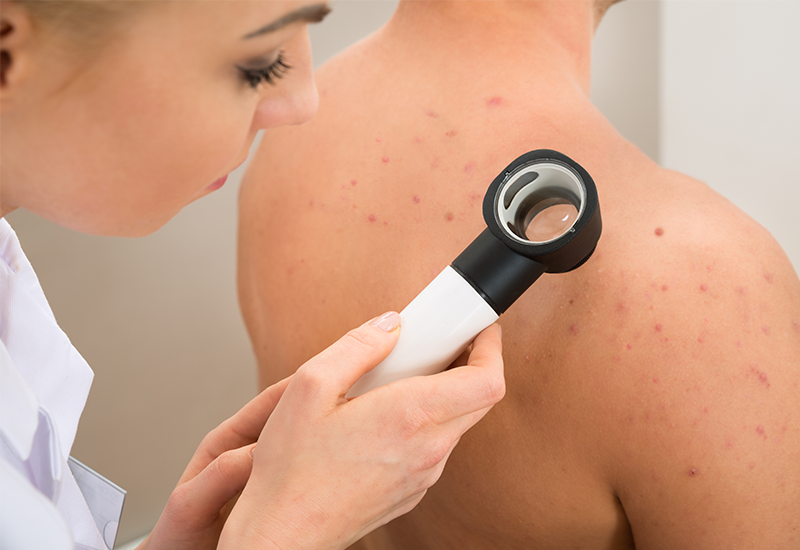 Result – red, patchy, itchy rash known as contact dermatitis or skin allergy. Skin doctors in Delhi point out that people with a weaker immune system react to things other people are not bothered with – from certain plants to fragrances. Milk allergy – known as lactose intolerance, people who cannot consume milk or milk products suffer from wheezing, vomiting, upset stomach, and hives if they consume anything made with milk. Wheat allergy – only way to prevent wheat allergy is to completely avoid wheat and wheat products. Reactions can range from mild to severe and include upset stomach, eczema, bronchospasm and even anaphylaxis in some cases. Fish allergy – in case the doctor is not able to identify what kind of fish causes a reaction, all fish must be eliminated from the patient’s diet. Every season brings with it its own set of activities and atmospheric changes that can cause an allergy. For example, trees bloom in spring and the pollen gets airborne, causing sniffing and sneezing in many people. Few allergic triggers pass from spring to summer as well. Winter cold can cause allergic reactions in fall and winter. Conjunctivitis – caused by bacteria, viruses, it can easily spread from person to person. Hives – also known as urticarial, hives are an outbreak on the skin in the form of swollen, red bumps, patches, or welts. Sun rays – excessive exposure to ultraviolet radiation causes skin burn in some people. Skin specialists in Delhi suggest avoiding sun during peak hours and applying mild lotions before stepping out to avoid severe reactions. Medicinal drugs – the immune system mistakenly responds to a medicinal drug by creating an immunity against it which can cause adverse side effects. Dust – the only way out is to avoid any activity that causes dust to move in the air. Reactions range from mild to severe. There are many other type of allergies caused by pets, chemicals, eggs, etc. Experts at Dermaworld, a Delhi based skin specialist clinic advises people to consult a doctor as soon as they observe anything abnormal on the skin. The sooner you detect an allergy, the sooner you can start treating it.